Thanks to my great friend, and writing guru, Dawn Mitchell, my class had the most fun this afternoon as we learned about fact/opinion, persuasive writing, and Amazon! Yes... you read that correctly Amazon...as in the world's largest online retailer! Here's what we did! So you go on Amazon and look up any book in your classroom and read as many of reviews about the book as you can. (Teachers, be sure to read the reviews ahead of time. ;) Always move on the side of caution. After reading a few of the reviews, we started a chart of things we noticed about each one... They had opinions. The had reasons for their opinions. They gave examples from the story to support their opinion. They challenged the reader to action...buy or not to buy... read or not to read. Thanks to Amazon being awesome, there is even a 5 star rating system that my students really connected with because of its similarity to AR ratings at the of an AR test. 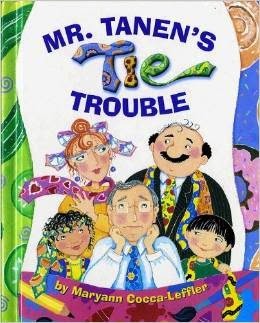 Once students had a good grasp of what a review was, they jumped in head first with partners, discussing their opinions and feelings about story of the week, "Mr. Tanen's Tie Trouble". We called this a "Book Talk". You know... like Oprah's Book Club! After a few moments of sharing out, students and I worked together to write our very own Amazon book review. You can see it posted below. If you click the picture of the review, you can actually see the review live on Amazon and leave us a comment about our good work. Pretty soon, students will write their own reviews independently and even make commercials advertising their favorite books! I can't wait for this unit to bear much fruit! 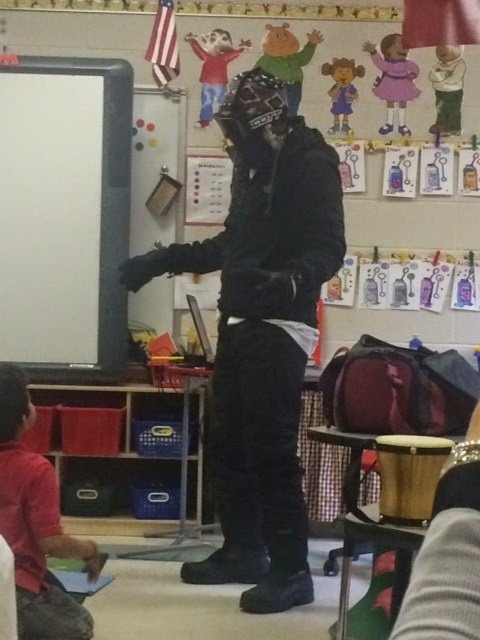 The students were so ecstatic about their new learning today! The Blubber Experiment is one of my most favorite days as a teacher. The fun and excitement of this lesson is tangible. The kids are excited beyond belief and the lesson invites their curiosity to run wild. It all started with me dressed in 14 layers of clothes. I had to show them humans didn't have blubber to us warm in the cold like the Arctic animals. Then, I gave them "blubber", or Crisco, and told it was from a polar bear in Norway. After a few minutes of play with the blubber we start the experiment. Our question... Does blubber really keep things warm? Before we can see how warm blubber keeps us, we must first know how cold it would be without it. Watch this! LOVE IT! Now that we know that the Arctic is reeeeaally cold, we see how "blubber" keeps our bodies warm when it surrounds us in the cold. 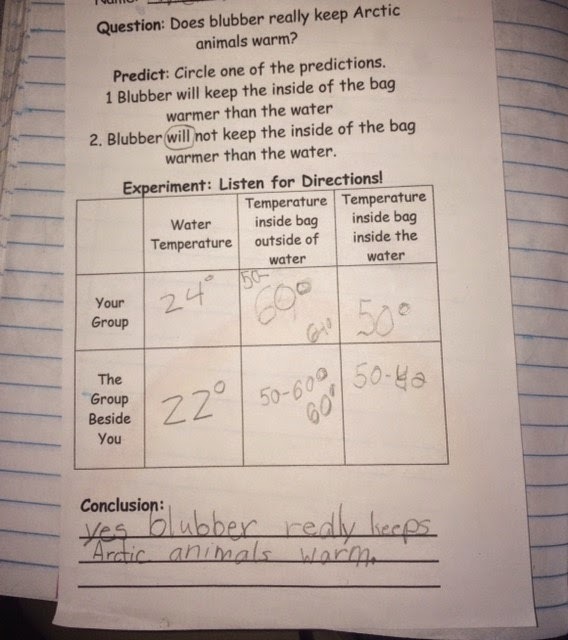 According to our data, the temperature of our hand inside the warm blubber bag was 26 degrees warmer than the water. I guess blubber really does keep the Arctic animals warmer. 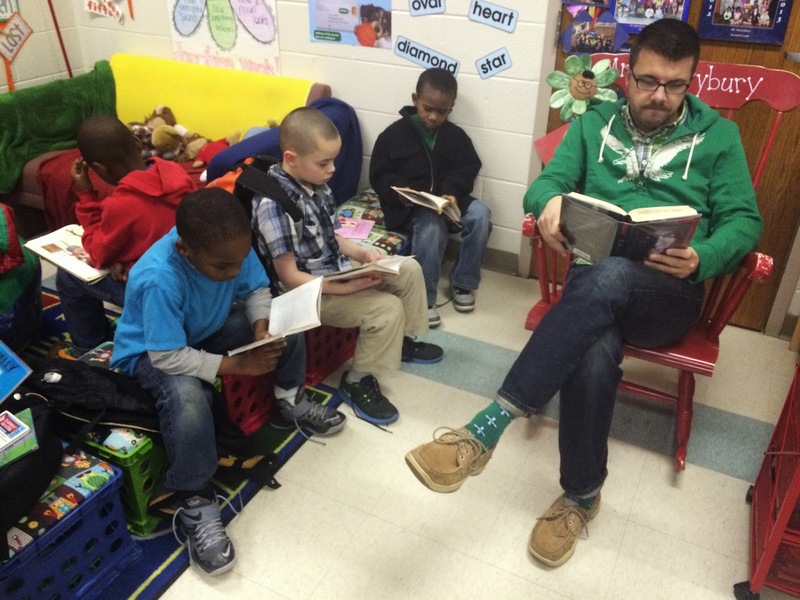 The past few weeks, as students start to pack up for dismissal, I have quietly taken a seat in the back of the room and began to read. At first the kids didn't notice much. They packed up, talked, and were happy that the day was winding down. But, the past few days, this has started to happen. Once they pack up, they just quietly join me in our reading nook. No one told them to come. No one told them to be quiet and settle down during what can be a noisy time. I just read...quietly... and they copied me. If this doesn't show you the responsibility of my job, I don't know what will. It makes me even happier that the boys are the ones copying me. It is tough to get boys to read... I know... I am one. :) We get distracted and have a hard time focusing. But, apparently all it takes is building a relationship, making a connection, and modeling good behavior! 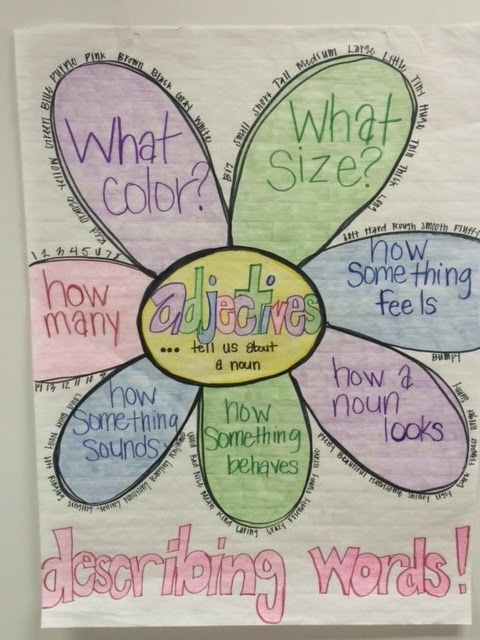 I am a proud teacher today! Thanks kids! 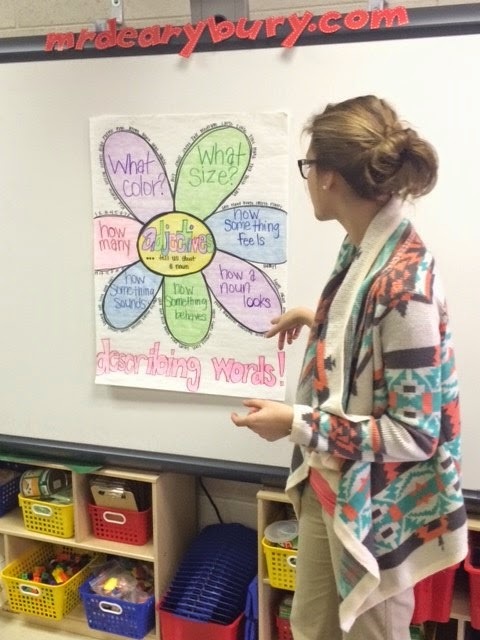 On Friday, Ms. Hill, our student teacher, did a great lesson on adjectives. 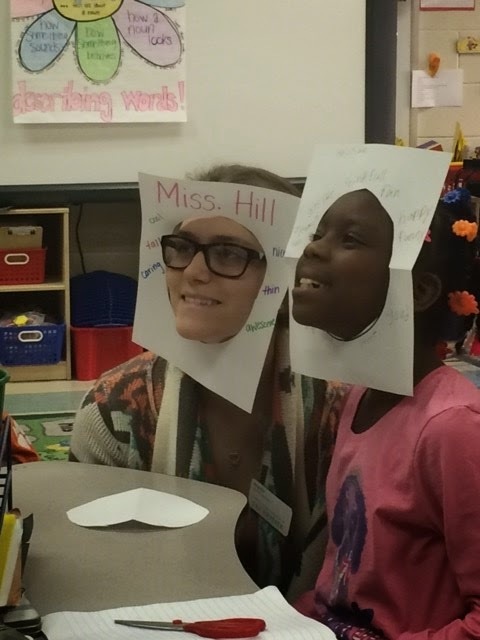 The kids then made cool frames around their faces, then filled it with words describing themselves. Their friends wrote on their frames as well. It was a great lesson on adjectives, but an even greater lesson on saying positive, encouraging things about the people around you! Thank you Ms. Hill!